Bhagvan Shri Swaminarayan was born on Chaitra 9 in Vikram Samvat 1837 (3rd April 1781 AD) on the occasion of Ram Navami. Bhagvan Swaminarayan is the central figure of Swaminarayan sect and is an incarnation of the Supreme Being. 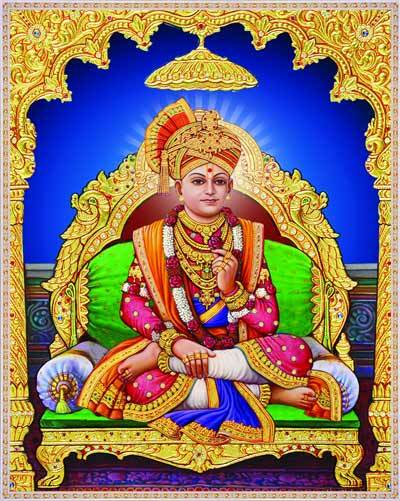 In 2019, Bhagvan Swaminarayan Jayanti is on April 14. The earlier avatars incarnated to serve a specific purpose; however, My present incarnation is to Brahmanise (realization of Supreme Being) the Jivas and grant them ultimate salvation. For this mission, I, the Purushottam, transcending Aksharbrahma, have assumed a human form. During his stay on earth, Bhagvan Swaminarayan enlightened millions of souls and his immortal teachings continue to inspire millions around the world. Apart from spreading the message of Sanatana Dharma, he was also indulged in eradicating numerous social vices and correcting numerous unhealthy practices which were practiced in the name of Hinduism. Bhagvan Shri Swaminarayan left his body and merged with the Supreme Soul on Jeth 10, Vikram Samvat 1886 (1st June 1830 AD). On the Swaminarayan Jayanti day, devotees observe nirjala upvaas (fasting without taking water). The entire day is celebrated by listening to the incidents in the life of Swaminarayan, reading scriptures and singing kirtans. On the day, at 10.10 p.m. – the time of incarnation – an ‘arati’ of the child form of Swaminarayan is performed in all temples (mandirs) dedicated to Him.